Perfectly situated in Mission Bay is this private self-enclosed cottage. This quaint little cottage sits adjacent to the main house and offers two parking space with its own dedicated entrance. The space offers a full kitchen with a two pot stove, dish washer, fridge, washing machine and 42 inch TV with Freeview. The lounge catches a considerable amount of sun and has sliding doors that open on both sides and pour out to a private, wraparound deck that overlooks our garden. There is a Heatpump offering heating and cooling all year around. The couch in the living is a double sleeper/foldout couch so we can accommodate an extra person if needed. There are sheets and towels along with shampoo or toiletries you may need. The bathroom has great water pressure with scorching hot water. All pots, pans and any kitchen utensils you could need are here, if you want to cook please go ahead. There are basic scullery items provided such as oil, salt, pepper, coffee, tea, milk and a mini bottle of wine on arrival. If you want to shop, Super market and Eastridge shopping Centre is only a few minutes walk from here. If you prefers to dine out then everything you need is a short walk away in Mission Bay. There are great Cafes along side a huge variety of different restaurants offering global cuisines. Unlimited wireless internet is provided in this cottage. The public transport is fantastic here and it is a short walk to catch the bus which will take you in to the city. Godden Cottage, Mission Bay is in a great location. 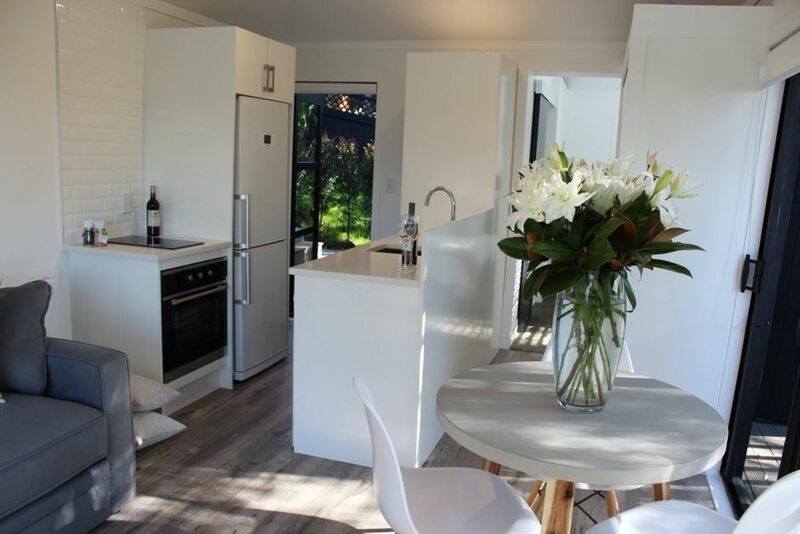 With easy access to restaurants, a lovely beach and downtown Auckland. The facilities were all as decribed, and our hosts were really welcoming and helpful. Great little cottage in a very nice part of Auckland. Very well kept and private. Perfect for a couple. We enjoyed our stay. My husband and I spent 5 days in Godden Cottage ilast month. My husband and I spent 5 days in Godden Cottage ilast month. It's bijou, very well appointed and conveniently located to Mission Bay, St. Hellers & downtown Auckland. Sali & Brendon have created a comfortable studio cottage that feels very much like a 5star hôtel suite; crisp white linens, luxury toiletries and even a complimentary snipe of bubbles with chocolate in the fridge. It is very private, overlooking the garden. We will definitely stay with Sali & Brendon again.